Poor Otto, wearing the collar of shame, again. Some animals are self-mutilators. When they sustain an injury, even of the smallest proportions, they lick at it obsessively until a large area is involved. Otto is a self-mutilator. The first trouble we had with him was last winter. 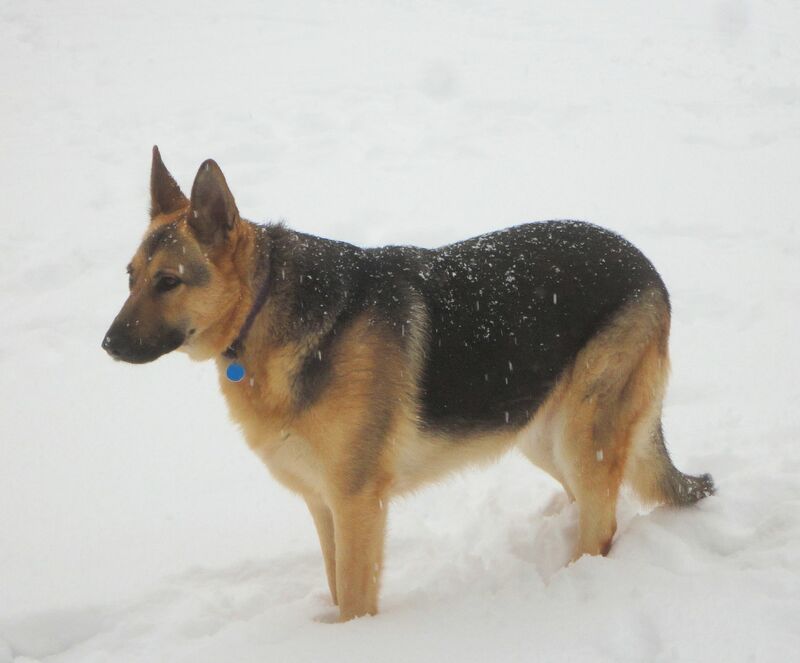 Otto is a very active German Shepherd who loves to run in the snow. 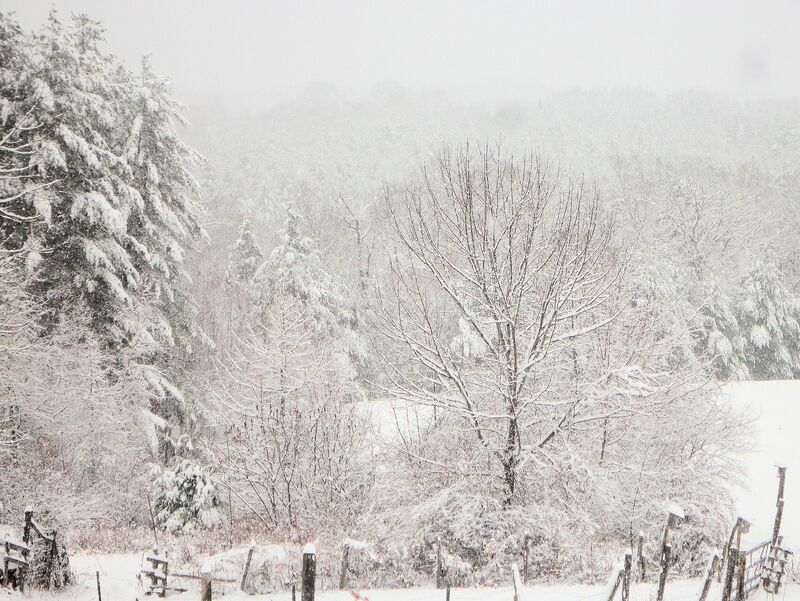 A spell of freezing rain created a thick crust soon covered by a couple inches of fresh snow. Otto crashed through the crust and scraped a front leg. What began as a simple small area of abraded skin went overnight into a large hot spot as the dog licked endlessly at the area while the rest of the household slept. When a dog is so persistent about licking, the offending area must be protected. Sometimes a simple wrap will distract the dog long enough for healing. Otto tore the wrap off. He even ingested the top half of an old calf-high tube sock. Luckily, it passed through. Next we tried putting an old long sleeved shirt on him. The sleeves covered the entire leg. Nope, gotta tear that shirt to shreds to get at the ouchy spot. So we had to buy an Elizabethan collar for him at the vet. E-collars usually do the trick. 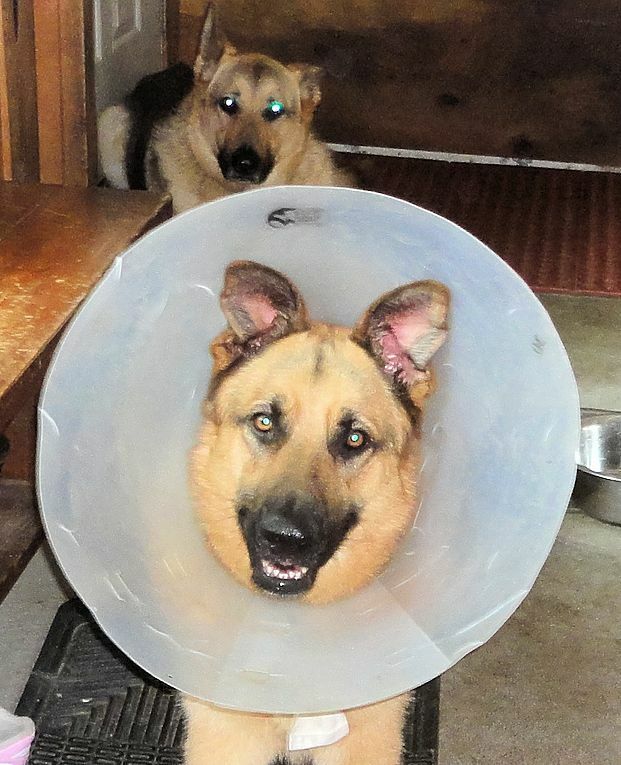 Otto never wore an E-collar, so within a few days the collar was destroyed by crashing into things and chewing any part he could get into his mouth. A new, heavier collar was purchased. This one did the trick, he couldn’t destroy it and the leg healed, hallelujah! Unfortunately, the collar was so heavy that the end against his neck rubbed too hard, creating a hot spot ring around his neck. Something we didn’t catch until we took the collar off. The hotspot healed quickly with topical anti-bacterial, fugicidal, anesthetic spray. Phew! 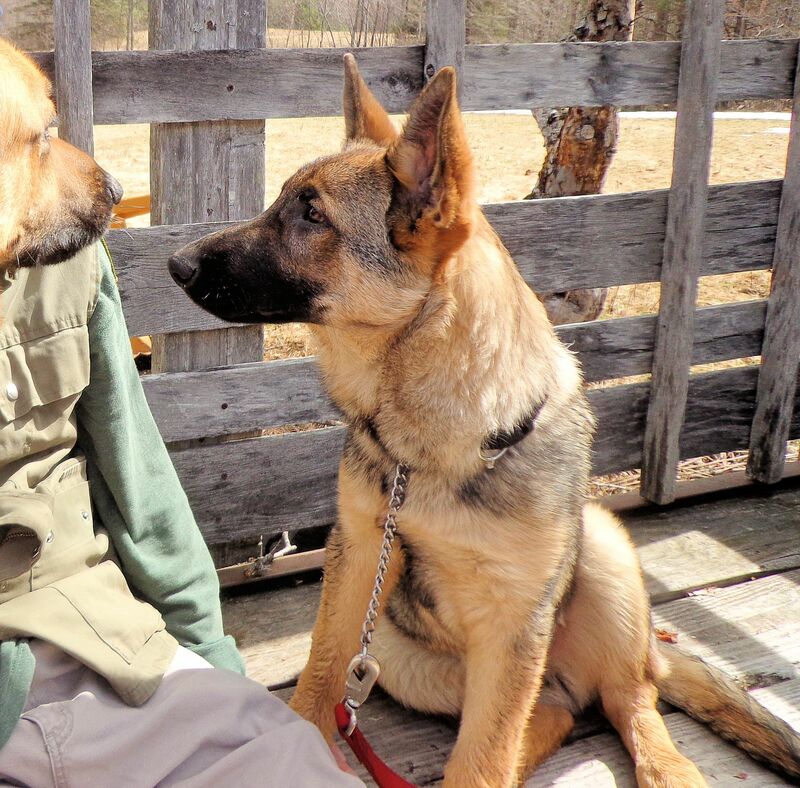 Then, several months later, friend Otto was playing tag with Holly around the farm equipment, failed to accurately judge his clearance, slammed his head into the side of the wood splitter and opened an inch-long, deep gash right under his eye. A quick visit to the vet for sutures and then back into the collar of shame. 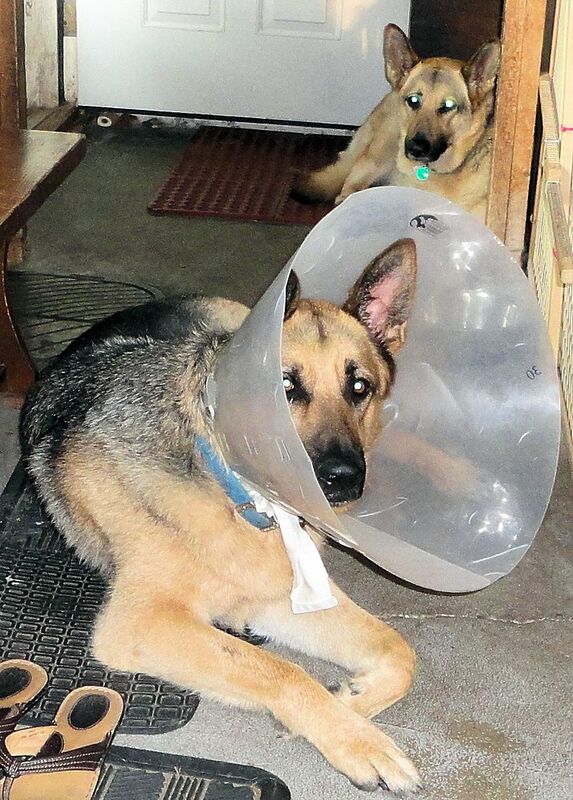 This time he wore a lighter weight E-collar, similar to the first one he destroyed. I was pretty concerned we’d have to go through the whole fiasco of ruined collars again, but he accepted the thing and even showed promise with maneuvering it through doorways. After a week, the stitches came out, his face healed nicely, and the E-collar came off. As soon as our backs were turned, he proceeded to rub his face on the ground so violently the cut began bleeding again. Back on with the collar for several more days. Finally, he healed and we could set him free once more. All was going well until this week. We caught him spending considerable time licking and chewing his tail and investigated. There was a small puncture wound, possibly a bite administered during play by his pal, Holly. He had worried the half-inch wound into a three inch sore. On with the collar of shame. With enough flexing, he can reach the area. Mostly, the collar discourages him so he leaves the spot alone. 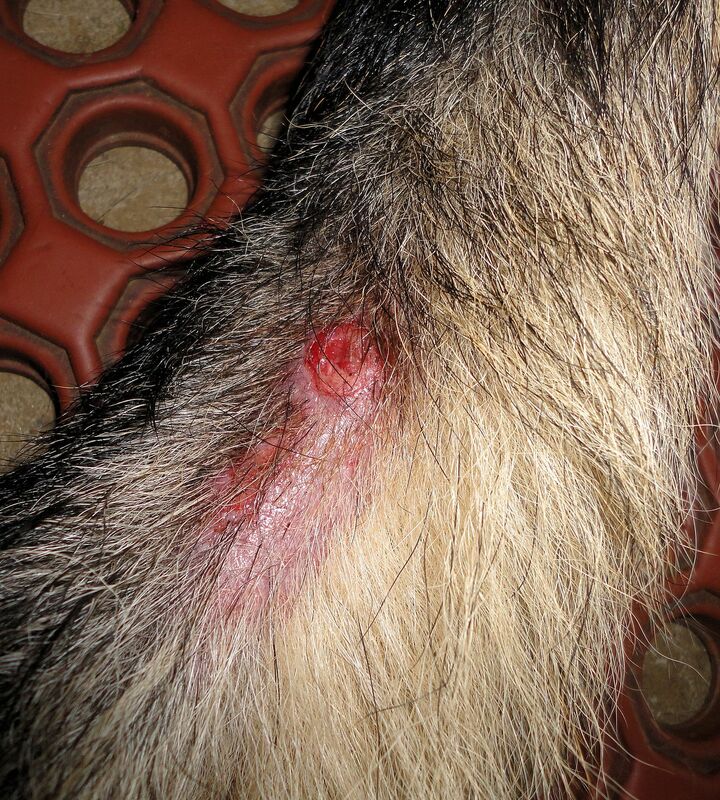 After two days in the collar, the site was looking nicely healed yesterday. I removed the collar. Big mistake. Several minutes of monitoring indicated no interest in the spot. We let him romp around outside. In just a few unattended minutes he opened the wound and started bleeding again. So, it’s the collar of shame until the tail is completely healed. 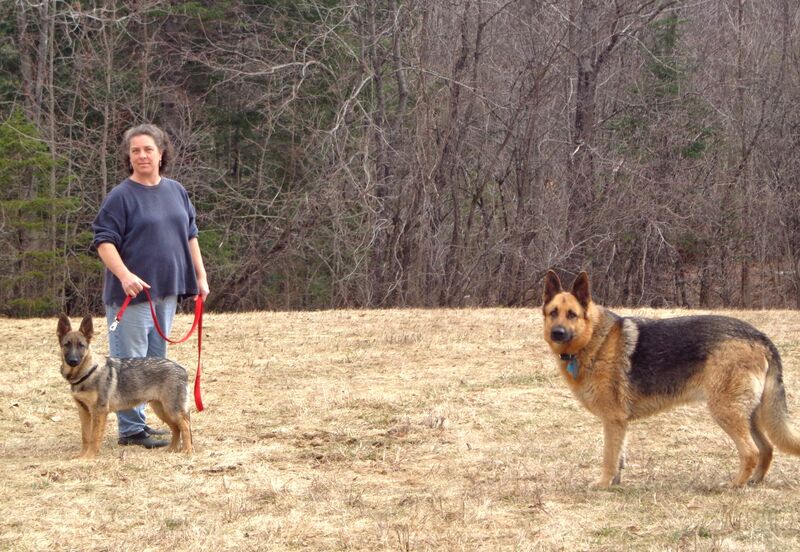 Living with a large dog wearing a large E-collar is no picnic. He catches the collar on the edge of the water dish when he drinks and sends the bowl flying, water everywhere. The same thing happens with food. We have to help him navigate his face into the bowls, then hold the bowls so they don’t get flipped. Outside, he runs into things with the collar, including people’s legs. 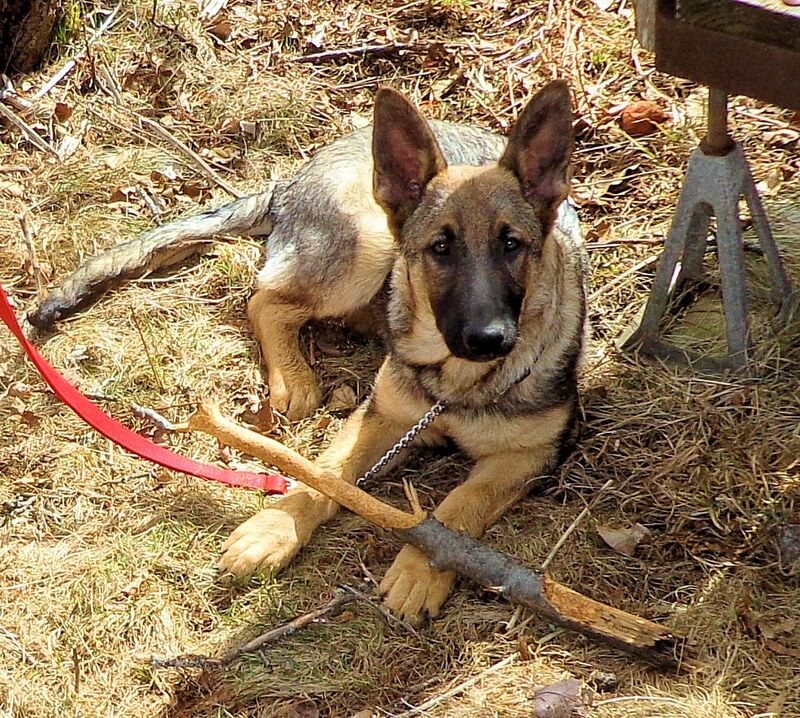 Activity must be restricted so the collar won’t be destroyed, not an easy thing for a hundred pound bundle of energy. If life is a circus here at Phoenix Farm, then Otto is the top clown. Just wish I was sending more time laughing. 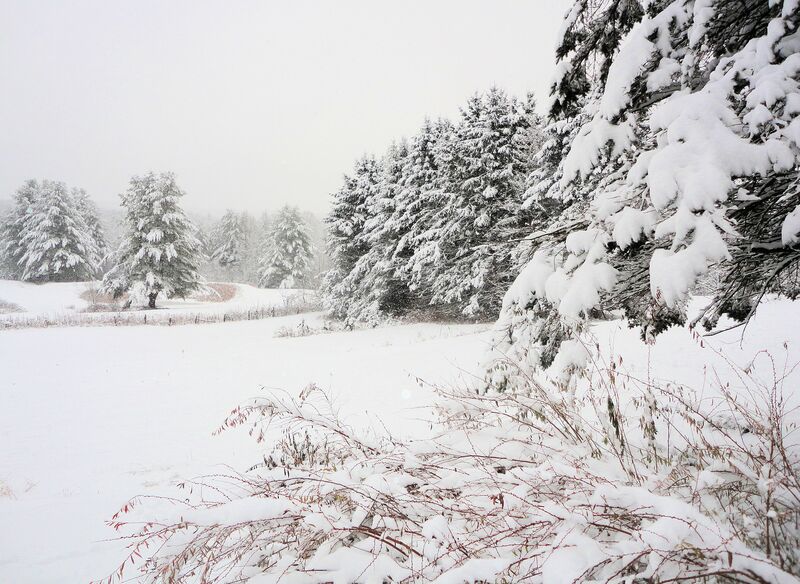 The first major snow fall of the winter came overnight with about 8″ of soft coating. The flakes are just tapering off at mid-morning. This storm took the weather people by surprise. The predictions were for rain or just a dusting of whiteness. Every fence post wears a pointed pure white cap. The softwood boughs dip beneath the weight before a breeze stirs to send cascades of icy powder to the forest floor. 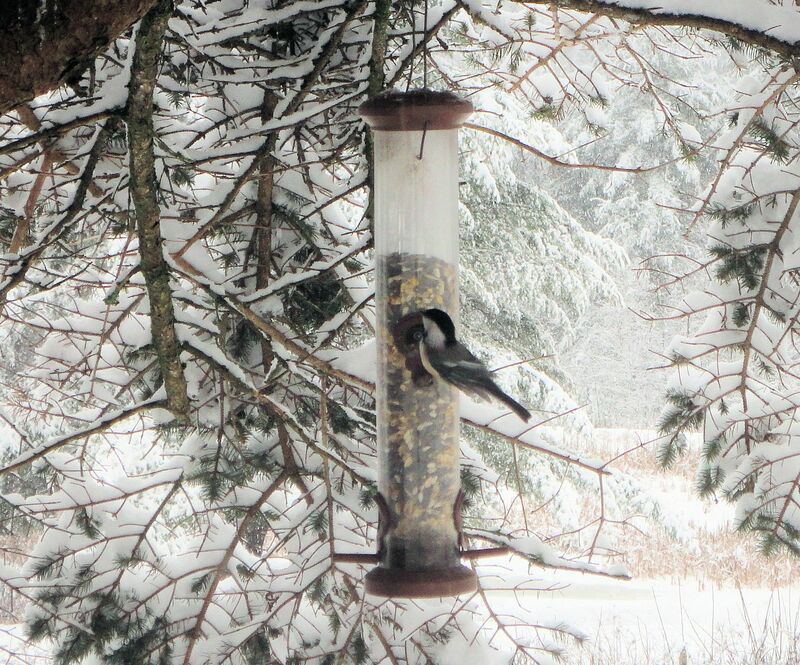 Hungry birds flit about the feeders, snatching one seed at a time to eat in safety from a protected branch. This is snow dog weather. 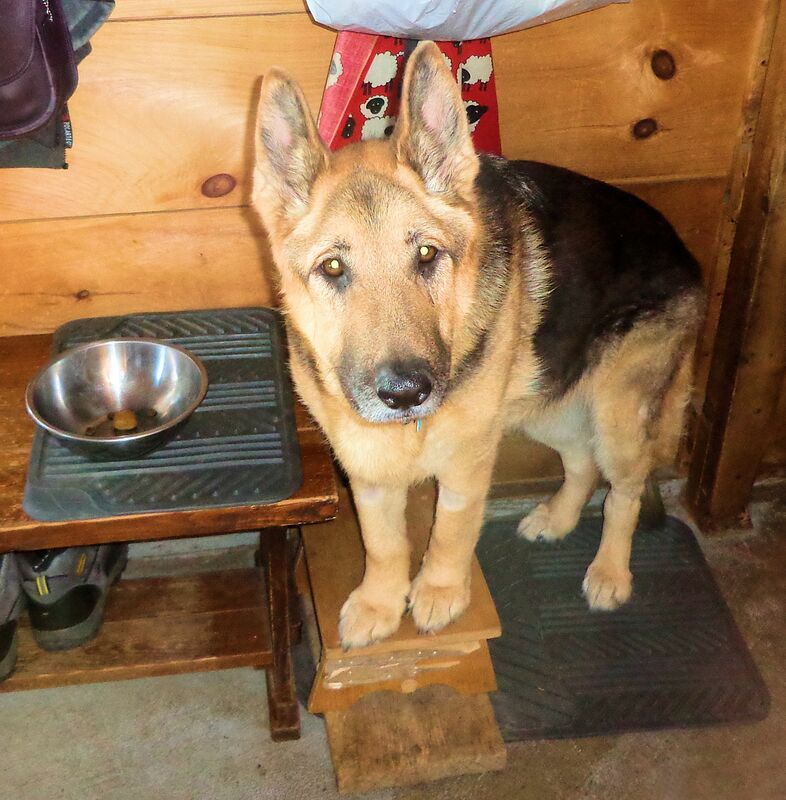 This entry was posted on December 2, 2013, in Our Pets, Uncategorized, Wild Animals and tagged bird feeder, chickadee, country life, farm life, first snow, german shepherd, snow, snowstorm, winter.